SEKIRO | Multiplayer / Online Co-op Features? 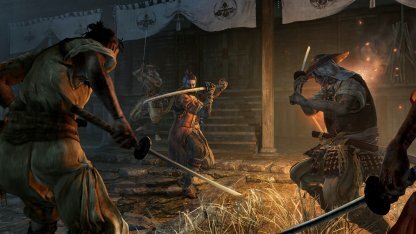 Find out whether Sekiro: Shadows Die Twice has multiplayer or online co-op features through this guide! Unlike the previous titles From Software such as Dark Souls and Bloodborne, Sekiro will be a purely single-player experience with no multiplayer or online aspects. The developers of the game have discussed in an interview that the game was made purely with single-player in mind. They have expressed no intentions of adding any online features to Sekiro. How Does No Multiplayer Features Affect the Game? With a single character in mind, Sekiro will dwell further into creating more options for its character. The developers explain this as instead of having multiple classes and dividing the options between them, Sekiro will only have one. Previous titles from From Software didn't have the option to pause the game due to the inclusion of multiplayer. However, with Sekiro lacking online features, its quite possible that the game will allow pausing, similar to Dark Souls for the Switch.